Pim van Lommel is a Dutch cardiologist who performed one of the best and largest studies of near death experiences in survivors of cardiac arrest, as well as the consequences of such experiences. The results of this study were published in the international medical journal "The Lancet" during 2001 (see Near-death experience in survivors of cardiac arrest). This was a study reporting the results of standardized interviews of 344 patients who survived cardiac arrest. The group of Pim van Lommel found that about 18% of people reported undergoing near death experiences during the period of cardiac arrest and cardiopulmonary resuscitation. Subsequently this group studied the psychological effects of these near death experiences upon these survivors for a period of 8 years after the first interview. This was an exceedingly well executed study. It required unbelievable tenacity and effort over many years to complete this study. Yet one aspect of the discussion of the experimental results of this wonderful study of near death experiences in survivors of cardiac arrest in the original Lancet article was truly remarkable (see page 2044 of Lommel 2001). Astounding! Pim van Lommel and his colleagues apparently did not understand how it was possible for these people to have complex conscious experiences, such as near death experiences, during cardiopulmonary resuscitation for cardiac arrest. These authors seemed to have forgotten, or worse yet, totally misunderstood the very purpose of cardiac massage as applied during cardiopulmonary resuscitation. 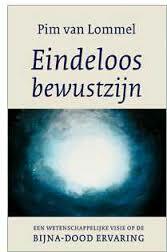 Pim van Lommel has further developed this unbelievable lack of understanding exhibited in the quote above in a book published at the end of 2007 in the Netherlands called "Eindeloos Bewustzijn" (English translation - "Eternal Consciousness"). 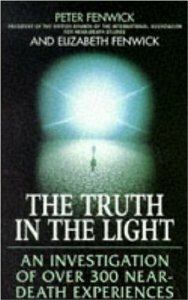 He seriously claims in this book that human consciousness is immaterial and functions independently of the body, and that the brain is just the receiver of the signals generated by this consciousness, much as a television is the receiver of signals from a television station. Furthermore, he claims in this book that the otherwise very good study published in the Lancet in 2001 is proof of this claim! This website examines these remarkable conclusions, which most certainly do not follow from his study results (see Chapter 12 in the book Illusory Souls for an extensive discussion of all aspects of cardiac arrest and consciousness). But Pim van Lommel is not alone in proposing these ideas. Several other other medical doctors propose the same conclusions—that consciousness is impossible during cardiac arrest, and that near-death experienmces (NDEs) occuring during cardiac arrest are not a product of the effects of brain oxygen starvation on the brain. So are these claims true? Or can near-death experiences occurring cardiac arrest be adequately explained with the “Occam’s Razor” of restoration of consciousness and brain hypoxia. I will start with the term cardiac arrest. But first an index. This page is rather extensive, so here is an index to move to different parts of the page. When is consciousness possible during cardiac arrest? Is a normal heartbeat needed for EEG activity and consciousness? Cardiac arrest is a collective name for the effects of an abnormal , non-functional heartbeat - heartbeat which has stopped, or which is so abnormal that the heart no longer functions as a pump. And the function of the heart is to pump blood, circulating blood around the organs and tissues of the body. The flow of blood into organs transports oxygen, nutrients, hormones, and many other substances into these tissues, while the flow of blood out of the organs removes waste carbon dioxide, waste products of metabolism, hormones, and other substances. All organs and tissues of the body fail and die when this flow of blood ceases, and of all the organs of the body, the eyes and the brain are most sensitive to the effects of failure of the normal flow of blood. Sudden cessation of the flow of blood to the head as occurs during cardiac arrest causes failure of the eyes and the brain manifesting as blindness and paralysis of all muscles after 3-19 seconds, followed by loss of consciousness after 4-20 seconds (Rossen 1943). This period of consciousness remaining after the heart stops is why some cardiac arrest patients complain bitterly when doctors and nurses begin cardiac massage before they lose consciousness. And this is why some people may remain conscious for several seconds after being shot or stabbed in the heart. Increasing degrees of brain damage occur 3 to 5 minutes after cardiac arrest occurs, and severe brain damage is present after more than 10 minutes cardiac arrest. This is the period of initial loss of consciousness. However consciousness may be regained during efficient cardiac massage, and some people may remember experiences undergone while consciousness returns after cardiac arrest. This means there are three peiods during which conscious experiences may occur during cardiac arrest. When losing consciousness at the start of cardiac arrest. While undergoing cardiac massage during cardiac arrest. While regaining consciousness after successful resuscitation. Altered mental states occurring while losing consciousness, and while recovering from cardiac arrest are evident. But what about the possibility of consciousness occurring during cardiac massage? Cardiac massage is applied to patients whose period of cardiac arrest lasts more than several seconds. So what is cadiac massage, and how is it applied? A person who develops a cardiac arrest will die unless cardiopulmonary resuscitation is commenced. Cardiopulmonary resuscitation is not a passive affair where physicians and nurses stand back, arms crossed, while calmly observing a person with a cardiac arrest gradually fade away, calmly waiting for that person to spontaneously revive without any activity on their part, except perhaps for interested observation on the part of the observing physicians and nurses. In clinical practice there are three different methods of applying cardiac massage. External cardiac compression / massage. This is the most commonly applied technique. A person forcefully compresses the sternum 60-80 times per minute. Mechanical external cardiac compression / massage. Here a machine performs the work of compressing the sternum. This is a more effective form of cardiac massage, generating a greater flow of blood and blood pressure than external manual cardiac massage. Internal cardiac massage. The chest is opened, and the operator regularly squeezes the heart, so generating a flow of blood around the body. This is the most dramatic, but also the most effective form of cardiac massage, generating the greatest flow of blood and blood pressure. The most commonly applied method is manual external cardiac massage. Indeed, physicians and nurses in modern Western European hospitals have a very standard reaction pattern when confronted with a person with a manifest cardiac arrest. They sound an alarm summoning a special resuscitation team, while at the same time hurling themselves upon the dying person like a pack of wild dogs. They lie the person flat on their back, place a hard plank under the chest, perform artificial respiration, insert an intravenous line through which medicines necessary to treat the cause of the cardiac arrest can be administered, and perform external cardiac massage. External cardiac massage consists of vigorous and forceful compression and release of the chest 60-120 times per minute. The heart is a bag made of muscle tissue in which there are four one-way valves. Compression of the chest forces blood out of the heart and the chest, and because of the one-way valves in the heart, this emerges out of the heart into the arteries conducting it into the various organs and tissues of the body. Releasing the chest causes the chest to rebound to its original form, creating a negative pressure within the chest and heart, sucking blood into the chest and the heart. This cycle is repeated 60-120 times per minute, generating a pumping action, circulating blood around the body when the heart no longer does this during cardiac arrest. Circulation of blood generated by cardiac massage provides a flow of blood to the brain and other vital organs, keeping these organs alive until a normal heart rhythm is restored, and the heart pumps blood normally again. Cardiac massage is always applied during cardiac arrest. Failure to do so means no blood is pumped around the body of the person with a cardiac arrest, and that person will die. This means that people undergoing cardiac massage for cardiac arrest do have a flow of blood flowing through their brains. So how much pumping action does cardiac massage generate? In other words, how many liters per minutes does the heart pump as a result of cardiac massage, and how much blood pressure is generated by cardiac massage? To begin with, external cardiac massage is not a 100% predictable procedure. Because people applying external cardiac massage differ in strength, body size, and the energy they employ during external cardiac massage, the pumping action they develop in any individual with a cardiac arrest differs. This means that external cardiac massage is sometimes very efficient, and sometimes very inefficient. This is revealed by a study of the distributions of cardiac output measurements made during external cardiac massage in several studies of cardiopulmonary resuscitation (raw data from Christenson 1990, Del Guercio 1965, Liu 2002, MacKenzie 1964, Oriol 1968). Studies of the effects of external cardiac massage applied to people with cardiac arrest reveal that external cardiac massage not only generates a flow of blood through the body, but also generates mean arterial blood pressures greater than 40 mmHg in 15% of people undergoing cardiac massage (see graphic below constructed with the raw data from: Del Guercio 1965, MacKenzie 1964, McDonald 1982, Oriol 1968, Swenson 1988, Wei 2006). Studies of the distributions of blood pressure and cardiac output during cardiac massage provide essential information about whether people may, or may not be conscious during cardiac massage. These data do not tell us whether people may be conscious, instead it is first necessary to know the lowest blood pressure and lowest cardiac output capable of sustaining consciousness The first step is to know the minimum blood flow through the brain required to sustain some form of consciousness. This can be answered with a few known facts derived from measurements of blood pressure and cadiac outputs measured during external cardiac massage. About 15% of humans undergoing external cardiac massage have a blood pressure above 40 mmHg. Somewhat more than 20% of humans undergoing external cardiac massage have a cardiac output greater than 2 liters/minute. This explaains why significant numbers of people may be conscious during external cardiac massage. When this fact is combined with the experiences of consciousness while losing consciousness, and while regaining consciousness, we realize that these figures explain why up to 18% of the 344 patients interviewed by Pim van Lommel and his co-workers reported being partially conscious, or undergoing near death experiences during cardiopulmonary resuscitation (see extensive discussion and references in Chapter 12 of Illusory Souls. 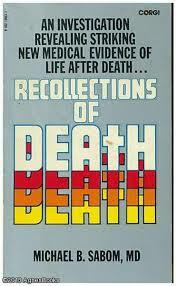 The same is true for all other studies of near death experiences in survivors of cardiac arrest. Pim van Lommel, along with many others reject the the possibility of restoration of consciousness during cardiac massage, as well as the mental effects of brain oxygen starvation (brain hyoxia) as an explanation for the mental experiences reported by survivors of cardiac arrest. In support of this, many people cite a patient reported by the Atlanta cardiologist, Michael Sabom during 1982. Sabom reported the account of a patient who observed his doctors drawing blood from an artery during an out-of-body experience he underwent while undergoing resuscitation for cardiac arrest. It is quite evident that Dr Sabom forgot some basic physiology when making this statement. The explanation for the possibility of consciousness during cardiac arrest was provided by the German physiologist, Adolf Eugen Fick (1829-1901) more than 140 years ago during 1870, in the well-known and standard “Fick Equation”. This equation is still a “golden standard” for calculating cardiac output, and goes as follows. Sabom did not measure the venous oxygen content at the same time as he measured the arterial blood gas concentrations. This was not normal practice during 1982, nor is it standard practice even now during 2014. Even so the Fick equation, and the measurements of Sabom when combined with known facts, reveal this man was likely to have been conscious, and that hypoxia was the cause of this man’s near-death experience. This is demonstrated by the following calculations. To begin with, what do we know, and what can we reasonably assume from the data provided by Sabom during 1982? These are cardiac output levels achieved during external cardiac massage in 20% of persons undergoing cardiac massage, as well as blood pressure levels achieved in more than 15% of persons (see data and graphs above)—facts explaining why somewhat more than 15% of cardiac arrest patients may experience return of some degree of consciousness while undergoing cardiac massage! The residual effects of the brain hypoxia the man cited by Michael Sabom undoubtedly suffered, as well as the very likely existing brain hypoxia due to the effects of a pH level of 7.46, reveal that brain hypoxia explains this man’s near-death experience very well. In other words, the standard Fick Equation explains restoration of consciousness during cardiac massage as reported by Michael Sabom during 1982, and the NDE he reported as being due to the well-known effects of hypoxia. Sabom evidently had forgotten all about the Fick Equation when making his statement, as did Pim van Lommel in 2001, and all other writers claiming that brain hypoxia cannot explain near-death experiences undergone during cardiac massage. Then we come to the statements about a flatline EEG. Pim van Lommel was quite correct in the Lancet article of 2001 (Lommel 2001) when he said that the EEG became a flat line, or that the EEG is "flatlined" 3-20 seconds after the heart stops beating. 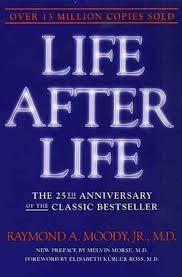 He cited articles by Aminoff 1988, and Clute 1990 who made actual measurements of these times. A more recent similar article was published by Visser in 2001, and interested readers can (download and read the article written by Visser in 2001). However, Pim van Lommel was totally and astoundingly incorrect on two counts when he asked, "How could a clear consciousness outside one's body be experienced at the moment that the brain no longer functions during a period of clinical death with flat EEG?" (Lommel 2001). This is an astonishing statement from a man who was once a cardiologist who managed many, many hundreds of cardiopulmonary resuscitations during his career. There is a flow of blood through the brains of people undergoing cardiac massage for cardiac arrest. When this flow of blood is sufficient to sustain some form of consciousness, then these people certainly have an EEG, and are most definitely not "flatlined"
At the time Van Lommel performed his study, as well as at the present time in the Netherlands, and in the whole world for that matter - NO ONE EVER attaches an EEG measuring device to the heads of people undergoing resuscitation for sudden cardiac arrest. I know this to be a fact, because as an anesthesiologist working in the Netherlands, I also assist in the resuscitation of many people with cardiac arrest. And during a long career in anesthesiology in three countries, I have never seen or heard of an EEG machine being attached to the head of people undergoing resuscitation for sudden cardiac arrest. There are very good reasons for not doing so. EEG apparatus is very sensitive to the electrical noise generated by the shaking of the body caused by cardiac massage. Moreover, EEG apparatus is not available in all parts of a hospital, and is delicate apparatus requiring careful attachment to the body to yield usable results. Furthermore, most doctors cannot even interpret the signals from an EEG apparatus. All these things make the EEG unusable in the hectic situation of nearly all cardiac arrest and resuscitation events. All this means that all statements about these patients having had a "flat EEG", or "flatlined" at the time of undergoing cardiac massage for cardiac resuscitation are pure speculation and incorrect. However, there are EEG readings from the few people who have undergone cardiac massage for cardiac arrest, as well as from people with mechanical hearts. A normal heartbeat is not needed for EEG activity. This is proven by the example of some heart transplantation patients. Some people require heart transplantation because their hearts function so badly that they are barely able to stay alive. Many of these people die while awaiting a suitable human transplant heart, so some technically advanced medical centers in the USA remove the diseased heart, and replace it with a pneumatically driven mechanical heart to keep these people alive as they await a suitable transplant heart. Such a mechanical heart not only keeps these people alive, but enables them to resume reasonably normal life (click on this link to read the scientific article by Dr. Copeland reviewing the use of artificial hearts). These people have no heartbeat. Instead their blood is circulated around their bodies by a machine. Yet they are conscious and alive, which means they have a normal EEG in spite of an absent normal heartbeat. This actually means that people need no heartbeat in order to have a normal EEG, what is needed is blood being pumped around the body. Cardiac massage does just this. Cardiac massage pumps blood around the body. And indeed EEG activity does return after effective external cardiac massage is instituted (see article by Losasso 1992, and case 5 in the article by Elton 1961). Accordingly, statements claiming that all people have a "flat EEG", or are "flatlined" while undergoing external cardiac massage applied as part of cardiopulmonary resuscitation are pure speculation, and likely to be incorrect. Indeed, external cardiac massage is sometimes so effective that some people are actually evidently awake even though they have no heartbeat at the time - just cardiac massage pumping blood around their bodies (see articles by Bihari 2008, and Lewinter 1989). This is absolutely positive proof that some people can have a normal EEG during external cardiac massage. The fact so few cases of consciousness during cardiac massage are reported is a reflection of under-reporting rather than anything else, a fact readily confirmed by interviewing intensive-care and coronary care staff. All these things clearly demonstrate why about 18% of the successfully resuscitated patients interviewed by Pim van Lommel were able to undergo near death experiences while undergoing cardiac massage as part of their cardiopulmonary resuscitation. Even so, why did no one notice that these persons were conscious while undergoing cardiac massage and cardiopulmonary resuscitation? The answer is that these people were conscious but unable to move, because even though the flow of blood supplying oxygen to their brains was sufficient to sustain consciousness, it was insufficient to enable normal movement. This sounds surprising, but a person undergoing moderate to severe brain oxygen starvation due to cardiac arrest, (or any other form of oxygen starvation), can be in a condition in which they are paralyzed and unable to move, yet conscious and able to hear all that is happening about them (see the effects of oxygen starvation here). This is the situation in which the patients reporting near death experiences after successful resuscitation from cardiac arrest found themselves during their during their near death experiences. And all these people were not flatlined, instead they had an EEG appropriate to their clinical situation. But no-one knows this, because no-one ever measures the EEG of patients undergoing resuscitation for sudden cardiac arrest. All this explains how it is that unmoving, unresponsive, apparently dead people undergoing cardiopulmonary resuscitation for cardiac arrest can undergo conscious experiences such as near death experiences. And the fact that oxygen starvation inhibits formation of memories explains why only 18% of these people can undergo, or rather, remember such a conscious experience. 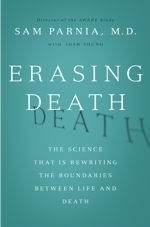 The book "Mortal Minds" provides a more extensive discussion of how the functioning of the body in these situations can generate all the other phenomena associated with these near death experiences, such as the experience of light, the tunnel, the sensations of ineffability, life review, out of body experiences, etc (see chapter 17 in "Mortal Minds", and in Chapter 12 of the book Illusory Souls). So supernatural or paranormal explanations are not needed to explain near-death experiences repoted by survivors of resuscitation for cardiac arrest. Nor are explanations such as a soul, or a mind which exists separately from the body required. The medically ignorant pronouncements and “Quantum Flapdoodle” of Anthony Peake, and other like-minded persons can also be dismissed—the functioning of the body explains all aspects of near death experiences in survivors of cardiac arrest. 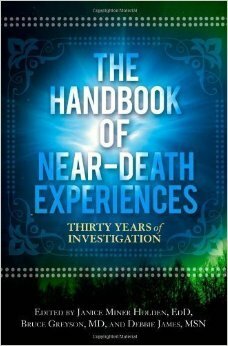 Interested readers can read an extensive analysis of how near-death experiences undergone during cardiac arrest are not only products of brain hypoxia, but are also proof of the absence of a separable conscious mind, in Chapter 12 of the book Illusory Souls. Aminoff MJ, et al, (1988), Electrocerebral accompaniments of syncope associated with malignant ventricular arrhythmias. Annals of Internal Medicine, 108: 791-796. Christensen SF, et al, (1990), Estimation of cerebral blood flow during cardiopulmonary resuscitation in humans. Resuscitation, 19: 115-123. Clute HL, Levy WJ, (1990), Electroencephalographic changes during brief cardiac arrest in humans. Anesthesiology, 73: 821-825. Guercio LRM del, et al, (1963), Cardiac output and other hemodynamic variables during external cardiac massage in man. New England Journal of Medicine, 269: 1398-1404. Guercio LRM del, et al (1965), Comparison of blood flow during internal and external cardiac massage in man. Circulation, 31: supplement 1: 171-180. Kouwenhoven WB, Jude JR, Knickerbocker GG, (1960), Closed-chest cardiac massage. Journal of the American Medical Association, 173: 1064. Lewinter, J.R., et al, (1989), CPR-dependant consciousness: Evidence for cardiac compression causing forward flow. Annals of Emergency Medicine, 18: 1111-1115. Liere van EJ, Stickney JC, (1963), Hypoxia, published University of Chicago Press, page 317. Liu, P., et al, (2002), Pump models assessed by transoesophageal echocardiography during cardiopulmonary resuscitation. Chinese Medical Journal, 115: 359-363. Lommel P. van, et al, (2001), Near death experiences in survivors of cardiac arrest: a prospective study in the Netherlands. Lancet, 358: 2039-2045. Losasso TJ, et al, (1992), Electroencephalographic monitoring of cerebral function during asystole and succesful cardiopulmonary resuscitation. Anesthesia and Analgesia, 75: 12-19. MacKenzie, G.J., et al, (1964), Haemodynamic effects of external cardiac compression. Lancet, I: 1342-1345. McDonald, J.L., (1982), Systolic and mean arterial pressures during manual and mechanical CPR in humans. Annals of Emergency Medicine, 11: 292-295. Oriol, A., Smith, H.J., (1968), Hemodynamic observations during closed chest cardiac massage. Canadian Medical Association Journal, 98: 841-843. Rossen R, et al, (1943), Acute arrest of cerebral circulation in man. Archives of Neurology and Psychiatry, 50: 510-528. Swenson, R.D., et al., (1988), Hemodynamics in humans during conventional and experimental methods of cardiopulmonary resuscitation. Circulation, 78: 630-639. Wei, J., et al., (2006), Cardiopulmonary resuscitation in the prone position: A simplified method for outpatients. Journal of the Chinese Medical Association, 69: 202-206.